The class begins with a simple improvisational guide that will bring the dancers from standing to the floor. This is used as a tool to find heaviness in the limbs and connection to gravity. The class continues with dynamic floor sequences to warm up the body, articulate movement, and explore ways in which the floor can trace parts of the body. The sequences will gradually bring the dancers to standing movements, keeping the tracing connection that was built with the floor. A final phrase will be given to the class that explores the balance of speed and expressiveness, as well as the physical extremes of gravity and articulated tracings of the body. Hannah Button received her BFA from the Purchase Conservatory of Dance. 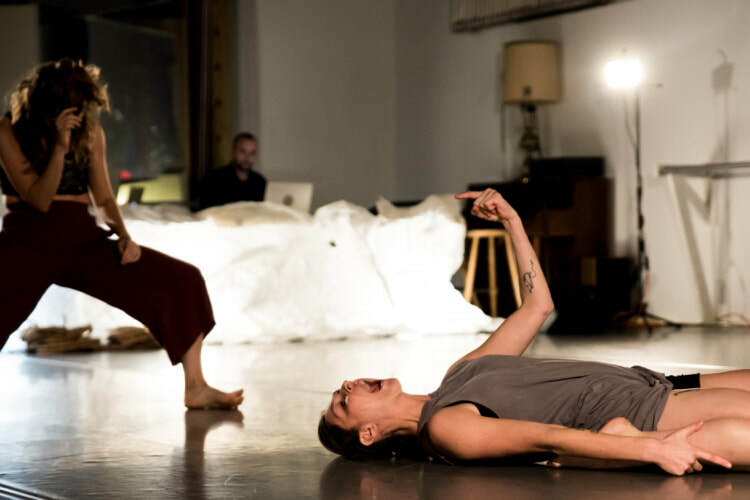 Upon graduating, Hannah has worked with several choreographers and companies such as Opera Saratoga, The Kevin Wynn Collective, Ori Flomin, Michael James New York, Bill T. Jones, Loudhoundmovement, and Sagadance Co. She has premiered several works in various festivals such as Westbeth Dance Top Floor, Nimbus Dance Works, Triskelion, Wax Works; and spends several months a year collaborating with artists in South Africa. She has taught sound & movement manipulation workshops to various academies and conservatories around the world and continues to search for new ways to collaborate.